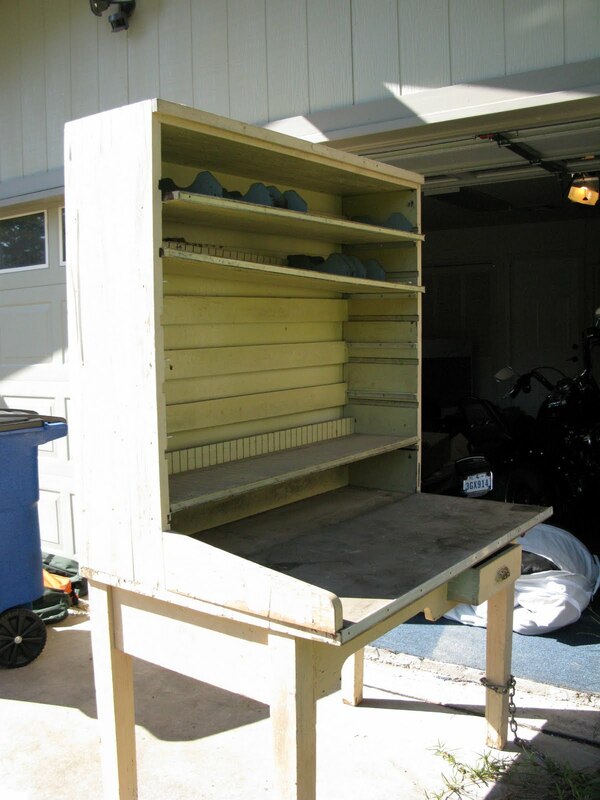 As I was driving back from the farmer’s market this morning ( unfortunately, I still need some supplemental veggies) I saw a beat up desk/hutch with two big “FREE” signs on it. It looked like the perfect potting bench. My husband has volunteered to help me paint it. Here’s the before pics. There are also two additional shelves not pictured. 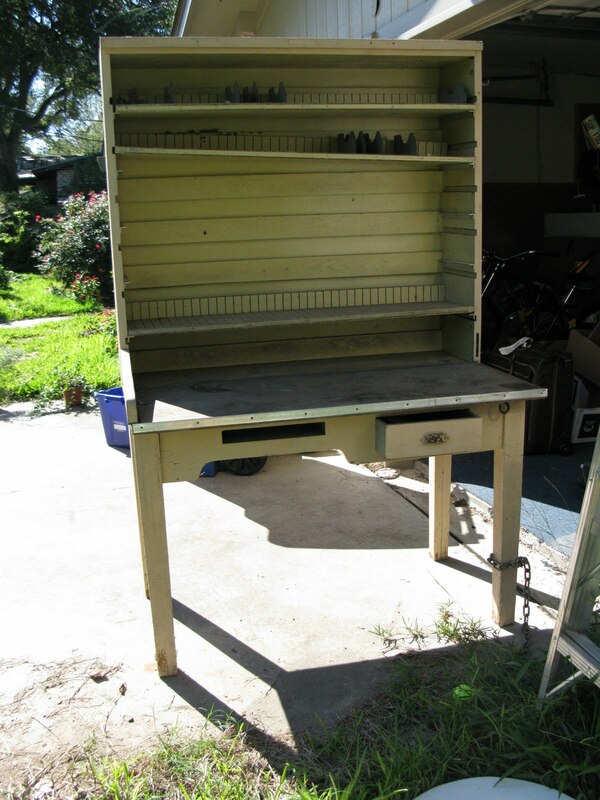 >Very cool, I love great finds that have a story! >That's wonderful! I love finds like that. I do have to wonder why it appears to be cuffed and chained; was it a felon 🙂 ?